SpeedUpMyPC is an award-winning PC optimization utility, developed by Uniblue - a certified "Microsoft Gold Application Developer". SpeedUpMyPC combines an arsenal of professional tools that ensures your PC is automatically optimized for maximum performance in just a few easy clicks. SpeedUpMyPC helps you get the most out of your computer without being an expert. 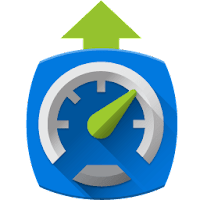 Disclaimer: Direct downloads for the lastest version of SpeedUpMyPC 6.1.0.1 are provided by the official software's author, we can't guarantee safety, availability or download speed. Moreover, we don't and we won't provide any pirated/illegal versions or tools. We recommend you to avoid it as these methods can harm your device. If you like the software, buy it to support the developers. (We provide software discounts for many worldwide brands).